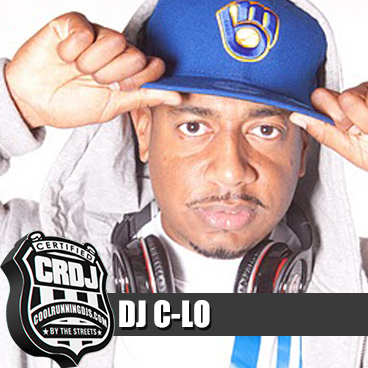 Dj C-lo, also known as Christopher R. Smith, was born in Jacksonville, FL. He began to perfect his craft of dee-jaying at Bethune-Cookman University in Daytona Beach, Fl. In the past two years, C-Lo has shook the game and set a standard for the new generation and his peers. He began guiding his own crew of up and comings in Daytona Beach, FL entiltled the Power Up DJs in 2009. Power Up Dj's now have many Dj's across the state including places such as; Orlando, Jacksonville, and even Miami. In 2011, C-Lo was recognized by Cool Runnings DJs and joined the family representing the Daytona Beach area. C-Lo made his professional debut @ the Lil Wayne & Lloyd banks concert in Jacksonville in April of 2005 @ UNF's Arena where over 4,000 people were in attendance. Also he has rocked the crowd on BET's Spring Bling and Spring Fling @ BCR 2005, the Kappa Lua in Tallahassee,Come Together Day in Jacksonville, and not to mention the Super Bowl in Jacksonville, Fl. Since 2005, he has graced the booth at one mega-event after another. Annualy, you can catch him in the hottest parties at mega events such as; The Florida Classic, Black Beach Week in Miami, B-CU's Homecoming, FAMU's Homecoming; and headlining The Urban Fiesta Memorial Day Weekend in San Juan, Puerto Rico and The Essence Festival in New Orleans with steady capacities of 5000 and 10,000 partygoers. The mega-events were never enough and by popular demand is currently averaging 3 mixtapes a year and releasing 5000 copies of each. Some of C-lo's work includes ,but is not limited to, The POWER UP Vol. 1 & 2. ESSENCE MIXTAPE ,NBA ALLSTAR GAME MIXTAPE , BLACK SKI WEEKEND MIXTAPE, and the crowd favorite THE URBAN FIESTA MIXTAPE! 2012 Urban Fiesta Weekend RECAP Extended from SET NETWORK on Vimeo.